With pine forests reaching out to the sea, Bai Lu is the perfect alternative for Cua Lo – a popular tourist site in Nghe An province. Located in Nghi Loc district, Nghe An province, 20 km from Cua Lo, Bai Lu is the ideal place for visitors to rest and relax in the fresh and cool air of the nature. After 4 km road winding between green rice fields from the National Highway 1A, you will come to “Da Lat on the sea” in Nghe An. That comparison is made because Bai Lu owns immense pines reaching out to the sea. 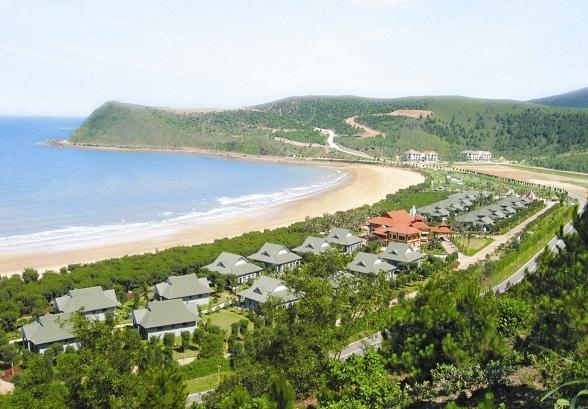 From afar, Bai Lu appears with winding yellow sand beaches hugging the sea. The beach is covered by cool green pine trees. Walk under the canopy of pine leaves on hot days is wonderful. In Bai Lu, the sea water is very clear that you can small pebbles. According to studies, the water in Bai Lu contains high mineral concentration from the sediments of rocks. Bai Lu is the combination of sea and mountains so it is very good for health. The waves here are gentle along with the sloping sandy beach so you can enjoy playing volleyball, football here. In the afternoon, you can relax on the bike spinning around romantic Bai Lu. Going to Bai Lu, you will have two options. You can rest in the seaside resorts or be backpackers, with many interesting destinations around. The first destination is Lu Mountain which stands for thousands of years next to the sea. Running round up to the mountain peak, you can see the islands of Song Ngu, Dao Mat and Lan Chau clearly in the distance or the islands of Hung Linh, Rong, Nui Co, Nui Kiem which are closer to the mainland. Kenh Sat is also an attractive sight for tourists on the way to Bai Lu. Besides the blue water, dyed by iron ore at Thiet Son Mount, this place also has the Temple of Mountain Deity and the Holy Spirit Temple. Cuong Temple located on the road to Bai Lu. Photo: truyenhinhnghean. 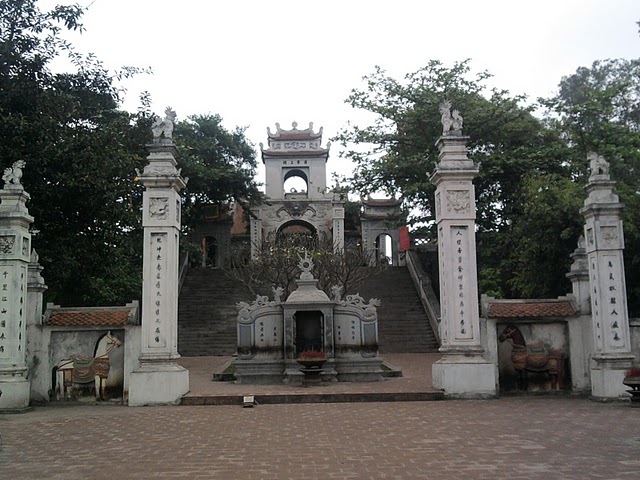 If traveling from Hanoi, you can stop at Cuong Temple, less than 10 km from Bai Lu. This is the sacred place of Nghe An, which is located halfway up of Mo Da mountain, close to Highway 1A, worshipping King An Duong Vuong. Bai Lu, Mo Da mountain, Cuong temple, Hien sanctuary, Kenh Sat make a spiritual and eco tourism complex in Nghe An. Now you can go to Nghe An by land, air and rail to Vinh city, and from here following National Highway 1A of about 20 kilometers north to Bai Lu.